UPDATED: Sat., July 7, 2018, 12:29 p.m.
About 120 people filled the tiered training room ready to be the teachers. Access to markets is a top priority for both the Washington Association of Wheat Growers and the National Association of Wheat Growers. But the first question from the audience wasn’t about trade. Charlie Shrope of Spokane Seed Co., which processes dry peas, lentils and chickpeas, made a plea for the U.S. Department of Agriculture to “reduce the government overhead on agriculture.” The Food Safety Modernization Act categorizes dry peas as a vegetable, which requires they be handled differently than chickpeas and lentils. It causes big problems for handling and shipping products for their customers. “Please just change it,” Shrope said. The dry pea challenge was new to Perdue, although problems caused by food safety responsibilities split between two Cabinet departments were not. The FSMA falls under the Department of Health and Human Services, regulating safety of processed food through the Food and Drug Administration. The USDA regulates food safety on the production side. Interagency conflicts create bizarre dividing lines, like the one affecting the dry pea processors. “We’ll get on that one,” Perdue said. Harmonizing regulations is a priority, according to Perdue. “Hot dogs are regulated by USDA, but put it in a bun and FDA takes over,” he said. He encouraged the submission of comments on specific issues to Tell Sonny at https://www.usda.gov/tellsonny for action. He suggested a long-term solution might be a single food safety agency following production from field to plate. “Compliance is bred by people understanding the rules,” he said. 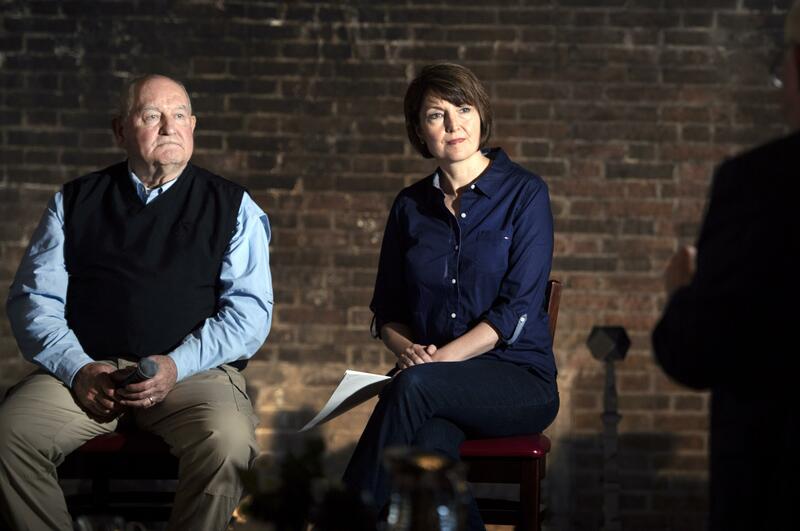 McMorris Rodgers turned the conversation to trade. An Idaho wheat grower and fan of Trump said he was nervous about trade policy, wondering where agriculture falls in Trump’s awareness. “You’re asking me where in President Trump’s mind is anything?” The crowd chuckled. “He’s an America-first guy,” said Perdue, noting Donald Trump mostly heard about NAFTA’s impact on manufacturing during the campaign. Perdue came on board and explained the economic scope and national security importance of agriculture. He pointed to the Canadian downgrade of U.S. wheat as one inequity to be resolved in NAFTA negotiations. Perdue sees his role as an unapologetic advocate for agriculture, and he passed on a message from the president. “He said tell them we’re going to make it better, but it might be tough for a while,” Perdue said. Perdue set a target of Labor Day to lay out a plan for mitigation of market disruption, if one becomes necessary. Sarah Ryan spoke from her experience with a diversified family operation in the Palouse and as executive vice president of the Washington Cattlemen’s Association. Four top priorities for the WCA are access to international markets, full funding for the foot-and-mouth disease vaccine bank, continued support for U.S. Forest Service grazing allotments and getting in front of regulating fake meat to avoid the problems created in the dairy industry by fake milk. Being unprepared for a foot-and-mouth-disease outbreak could result in $125 billion in losses over 10 years for beef and pork producers, Ryan said after the meeting. McMorris Rodgers noted there will be congressional hearings on Forest Service grazing in July, and she’s seeking producers available to testify. Perdue agreed on the importance of experience from the field, saying he trusts cattle producers to know when it’s time to turn the cows out. He also noted he’s working the “lab meat” problem with the FDA. Perdue sees it as a positive that Trump gets people’s attention with his unpredictability, but emphasized the president is insistent on the need to provide certainty for farmers with a farm bill passed and signed before the midterm elections. House and Senate versions now go to conference committee to resolve differences. The biggest sticking point will be work requirements for food stamp recipients in the Supplemental Nutrition Assistance Program. The House bill has them, the Senate bill doesn’t. Meanwhile, farmers wonder why the Department of Health and Human Services isn’t in charge of SNAP so the Farm Bill can focus on farming. Published: July 7, 2018, midnight Updated: July 7, 2018, 12:29 p.m.